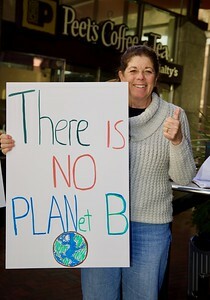 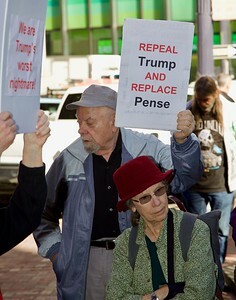 Held in McKesson Plaza, San Francisco. 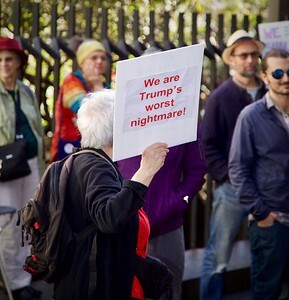 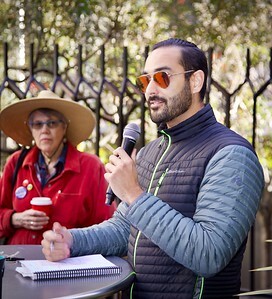 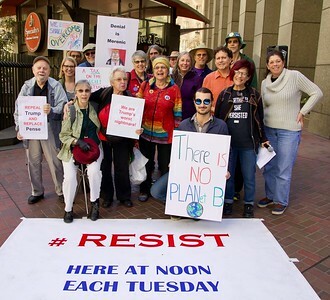 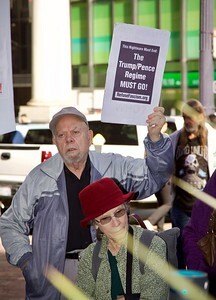 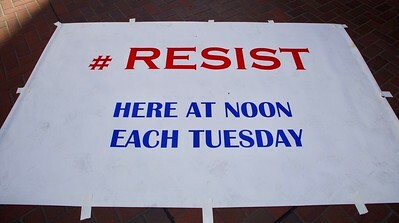 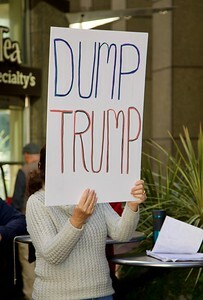 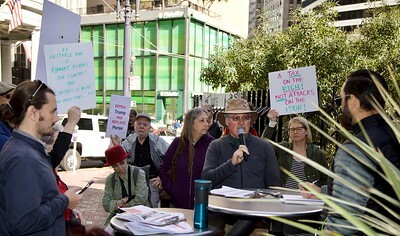 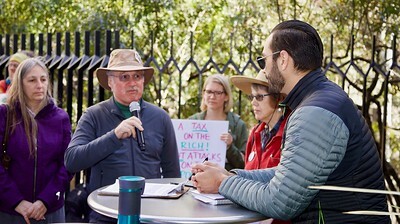 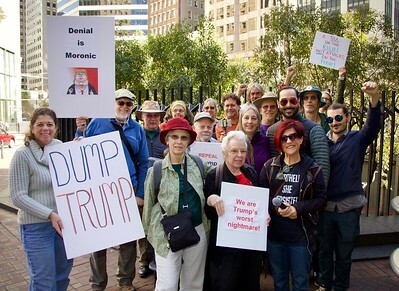 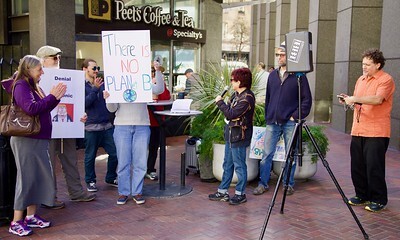 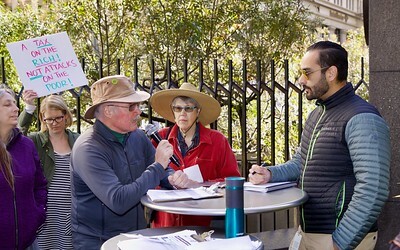 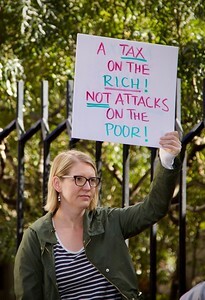 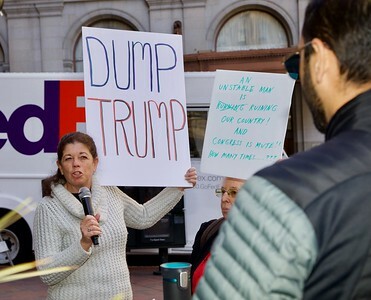 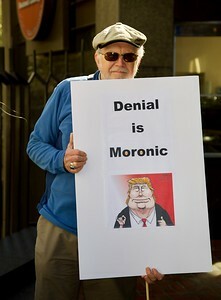 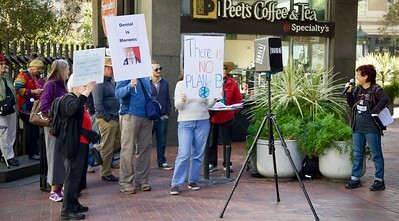 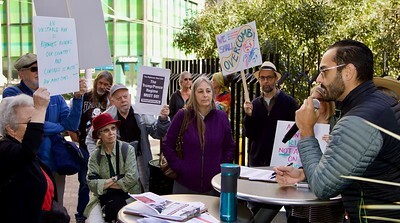 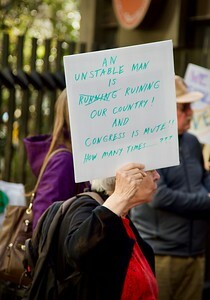 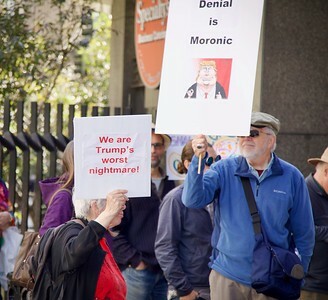 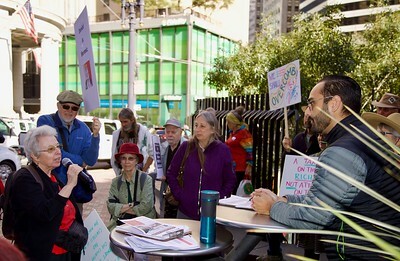 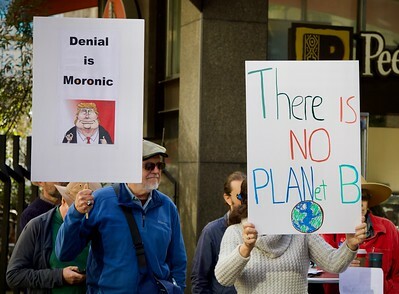 This event was one in a series of weekly (Tuesday at noon) protests outside Senator Diane Feinstein's office, and one of her aides attended to hear what the voters had to say. 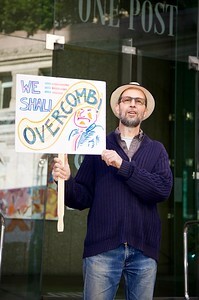 He also provided answers to questions posed at earlier events. 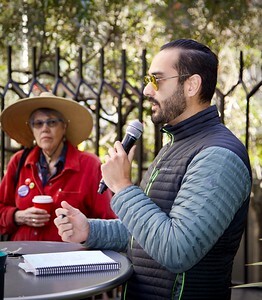 These photos may be used freely for non-commercial purposes (including journalism), provided that the photographer is credited when they are published.